Premium Box and 20th Anniversary Memorial Box planned. 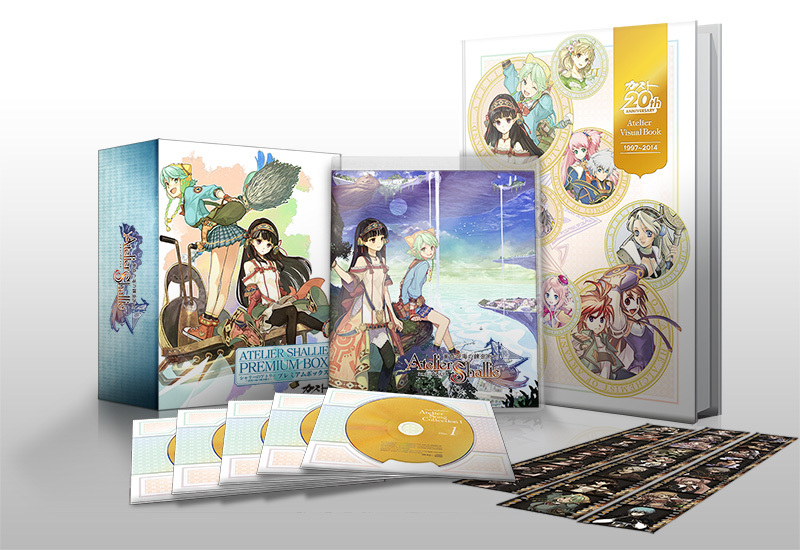 Gust has detailed the Japanese special editions for Atelier Shallie: Alchemists of the Dusk Sea, due out on July 17 in Japan. Additionally, a 12,800 yen (plus tax) 20th Anniversary Memorial Box will be made available at the Gust Shop and Amazon Japan. 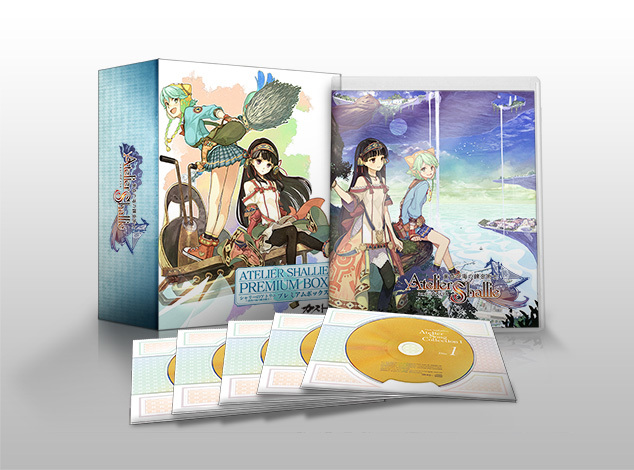 First print buyers of any version of the game will include an “Atelier Series Special BGM Pack” download code, which lets you customize the background music for various scenes with over 700 tunes from previous Atelier games.